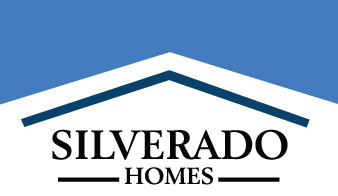 Silverado Homes opened sales last weekend for its newest community in the Sacramento area, Elverta Park. The homes at Elverta Park received a lot of interest due to their unheard of pricing, creative designs, and excellent location within Antelope. Just a short commute to nearby Roseville and downtown Sacramento, Elverta Park is close to convenient amenities. The well-crafted homes at Elverta Park range from 1,287 square feet to 2,061 square feet, and come in seven different floorplans. All of these plans feature exceptional design elements and are uniquely tailored to give homeowners a modern home that sits within a rustic setting. All homes feature spacious, walk-in closets, Venetian marble vanity sinks in the bathrooms, and designer fixtures and finishing touches. The kitchens include granite countertops and oversized islands, perfect for food preparation and entertaining. Adding to the appeal, all homes at Elverta Park are solar equipped and energy efficient. They include high efficient air conditioners, dual-panes vinyl windows, R-15 fiberglass insulation, and water conserving and energy efficient tankless water heaters. All yards are professionally designed and landscaped, and feature low maintenance stucco exteriors and popular tile roofs. The stunning entrance will be complete with entry monuments and landscaped grounds to create a cozy neighborhood environment. The community is also close to ample shopping opportunities, quality restaurants, everyday conveniences such as Wal-Mart, Foodmaxx, and a variety of recreation. Surrounding the community are some exciting Sacramento area highlights, including the Dry Creek Trail, Cherry Island golf course, Antelope Greens golf course, and multiple family-friendly parks, including Gibson Ranch, Cherry Island, Midtown Park, and Live Oak Park. Homes at Elverta Park are now selling. The sales center, located at 2850 Elverta Road, Antelope, CA, is open daily from 11:00am to 6:00pm. Interested homebuyers are encouraged to call (916) 365-4777 for additional information. How do we get a look at the models?